Get a 9-inch pie crust at the store, place it in a tart pan and bake for 5 minutes. Take the pie crust out and fill up with chopped-up plum tomatoes, oil-cured olives and 6 ounces of crumbled feta cheese. 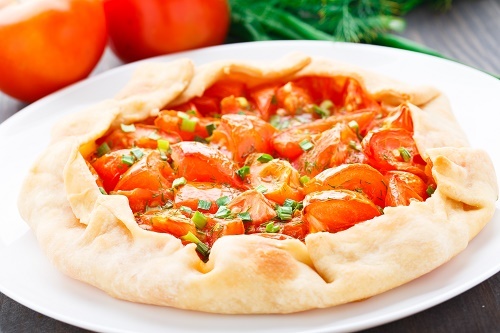 Sprinkle 3 tablespoons of olive oil, a few thyme leaves and pepper on top of the tart. Bake for a half hour until the crust turns golden brown and serve warm.